Most of us who are interested in food – whether that’s cooking it, reading about it, dining out for it, or all of the above – bother ourselves to some degree or other about its seasonality. I think the flowers that are just starting to bloom herald one of the most exciting food seasons of the year, the one when roses, marigolds, Sweet William and lavender will blossom into beauty and stock-up our kitchens with their medley of colours and flavours. Those examples are only the tip of the edible flower iceberg. Think also about the nasturtium’s brilliantly vivid red or orange petals; borage’s piercing blue; or the romance of violets. Forgive the cliche but it almost literally is a pot pourri of kitchen creativity and one that we don’t make nearly enough use of any more. There was a time (the 15th and 16th centuries, mainly) when no self-respecting English herb garden would be without a good stock of flowers to use in the kitchen alongside the mint, thyme, rosemary et al that we’d still expect now. But then things changed. 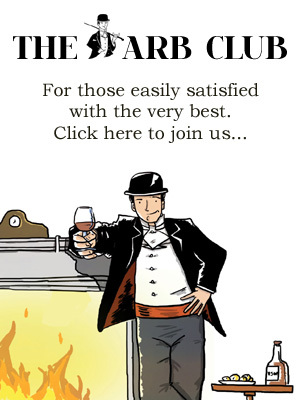 As the 1700s progressed French cuisine had an increasing influence on how the British smart-set cooked and ate; and the French mainly flavoured their food with what we think of as the bouquet garni herbs. The need for flowers for cooking declined. Then the Industrial Revolution changed forever the landscape of how we got our food and prepared it. Victorian cookery writers make hardly any references at all to using flowers in the kitchen. 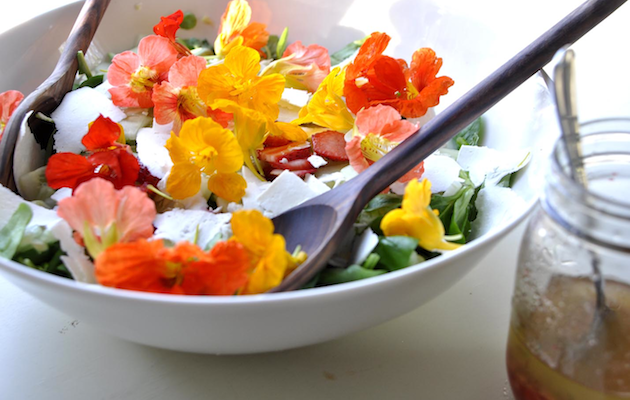 Petals – especially those from marigold, borage and nasturtium – are strewn through salads to give colour, texture and flavour. The vinegar in a dressing can change their colour, though, so be sure to either add the petals last or toss the salad as close to serving as possible. That colour issue won’t matter a jot when the flowers’ contribution is the flavour they can give to a vinegar. It’s simple as simple can be too. You just steep flower heads / petals in bottles of white wine vinegar for a couple of weeks, then change those flowers for fresh ones and that’s it. Summer jasmine or elderflower versions would go beautifully with chicken or fish dishes. Lavender vinegar is a good one for lamb. A similar technique is used to make flower sugars. What could be lovelier than having a little stash of lavender, rose or violet sugars to call upon for your baking? Dry the petals out thoroughly by simply laying them on paper, grind them in a food processor with the sugar and store in jars. 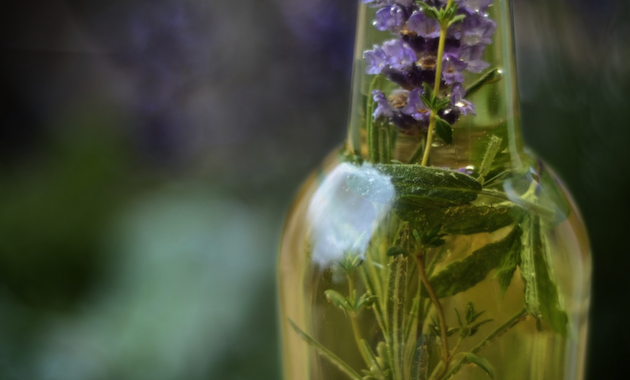 It barely seems possible for that to be made any easier but lavender is so strong that you can get away with just nestling the dried heads into the sugar. Then there are flower jams, jellies, vodkas, custards, butters. Crystallising them to decorate cakes and sweets. And all of that is before we even get to the more specific recipes. As for rose – well, don’t get me started because I may well never stop going on about all that you can do with roses. Their wealth of possibilities deserves its own feature and will get it later in the summer. 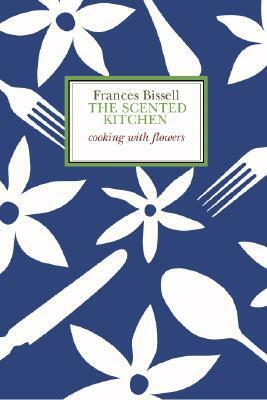 Frances Bissell’s ‘The Scented Kitchen’ is my un-put-downable guidepost to cooking with flowers. A recipe book that is simple, beautiful, inspiring and exciting. Waterstones can get you one in a couple of weeks and I dare say your local independent bookshop can do the same. Daunt Books in Holland Park stocks them. I have high and excited hopes of a time when greengrocers and supermarkets will think nothing of stocking a range of edible, pesticide-free flowers alongside the dill and coriander. Until then, pesticide-ridden supermarket flowers should most definitely be avoided for use in cooking. We need to be super-careful about the flowers we use to cook with. Some flowers are poisonous. And some that would otherwise be edible have been rendered poisonous by the use of pesticides. Please, please, please only cook with flowers that you know are edible and that you know are pesticide and toxin free. Home is a good place to start – you’ll know for certain what you have and have not sprayed onto the ones in your garden. Or there are a few places online to order edible flowers for next day delivery. Try Greens of Devon or Maddocks Farm Organics. Spring has finally sprung – and that’s good news for the kitchen as well as the garden.